This year we've had our Christmas cards printed on a different card stock. We've gone for Matte Recycled 350gsm which is a bright white uncoated recycled card stock. 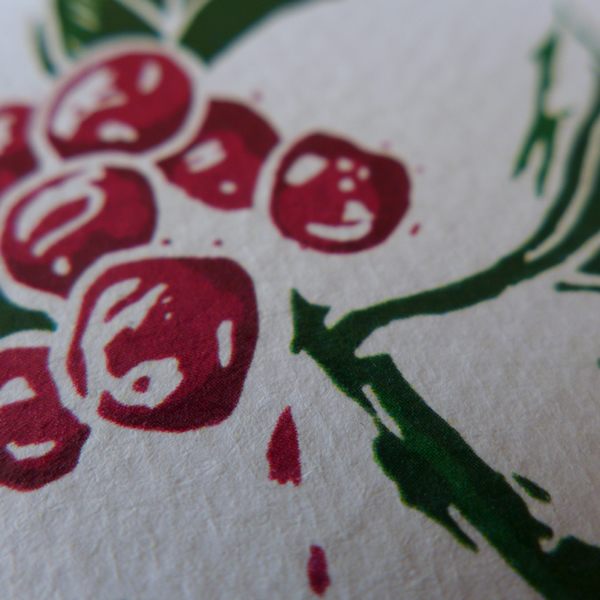 It has a light texture on the printed side and offers superb print quality with a matte finish (They're gorgeous!). 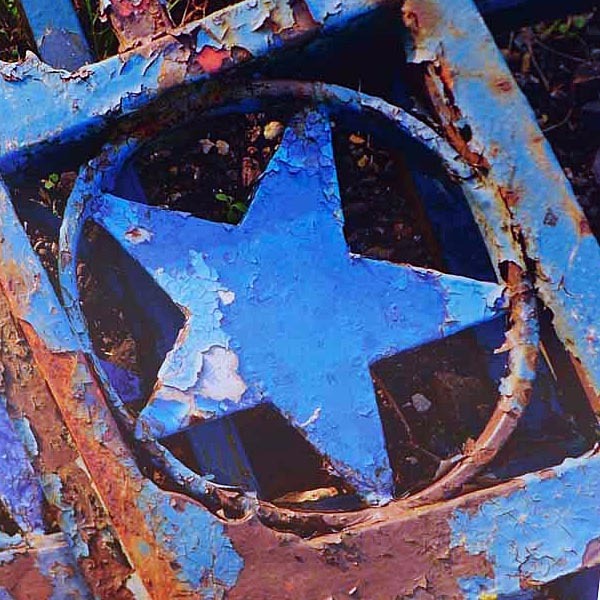 A new addition to our Urban Fragments range comes in the shape of stars, blue stars, and rusty ones to boot! The blue stars come from the original Scottish & Newcastle Brewery gates no less. Letters in boxes through the letterbox! 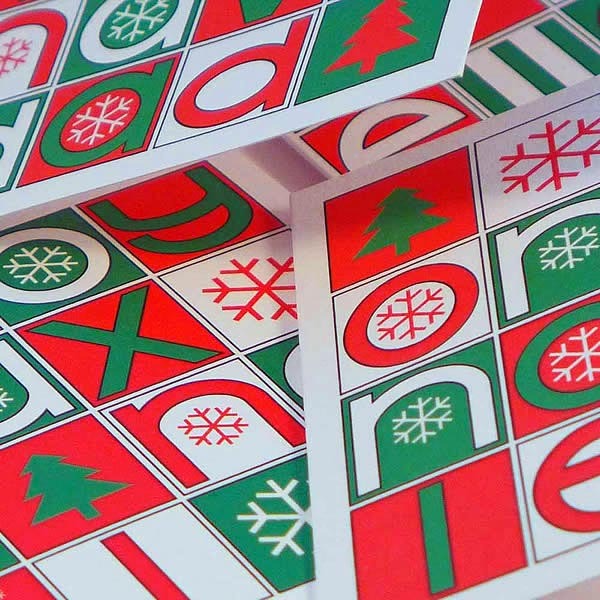 Our specially designed font spells out all manner of greetings for holidays and occasions throughout the year. 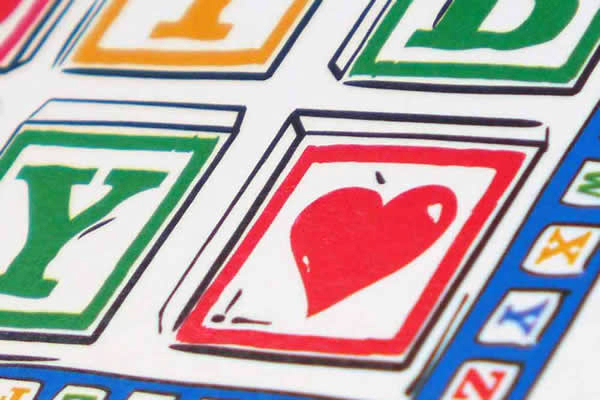 We've just had some more eyecatching linocut designs printed, this time they're masquerading as building blocks which spell out your greeting in bold primary colours. 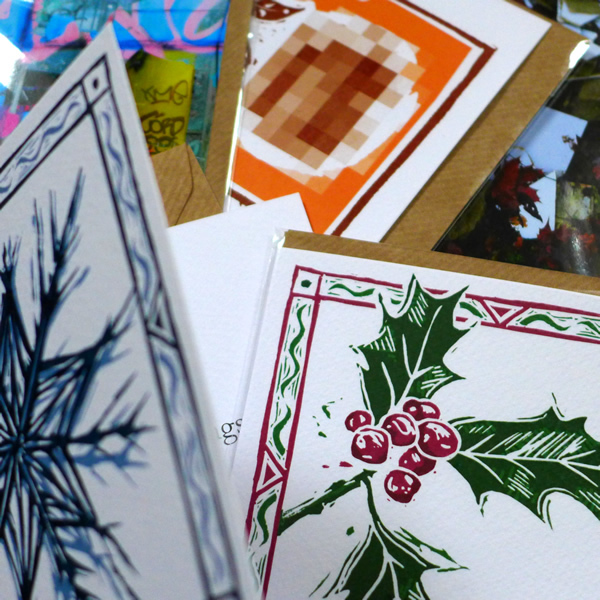 They're printed on that lovely textured card-stock you've told us you like so much too! Just wanted to wish you all a very happy and prosperous 2018. I think it's going to be fab! What better way to irritate your friends who voted to leave the EU than by sending them a Christmas card with a European Christmas greeting! Choose from French, German, Italian or Spanish. 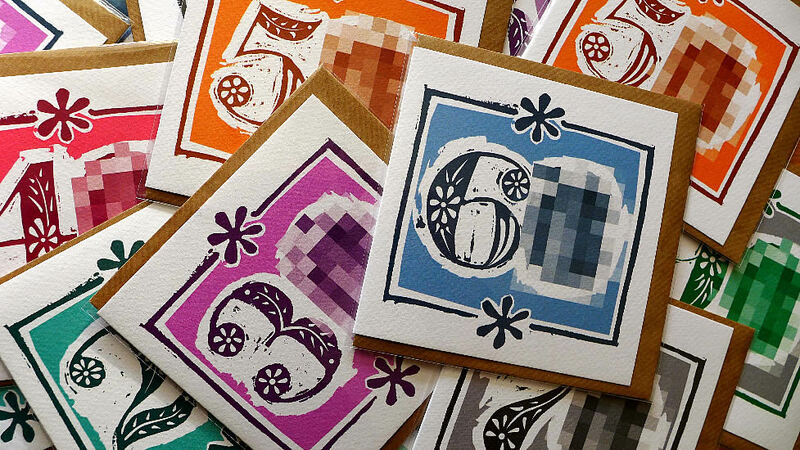 Our first design in our Linocuts range is now available. It features a Christmas tree design making it perfect for... well... erm, Christmas actually! I am very excited to be attending my first Ladder Club seminar (organised by PG Buzz and the Greeting Card Association) in a couple of weeks time! 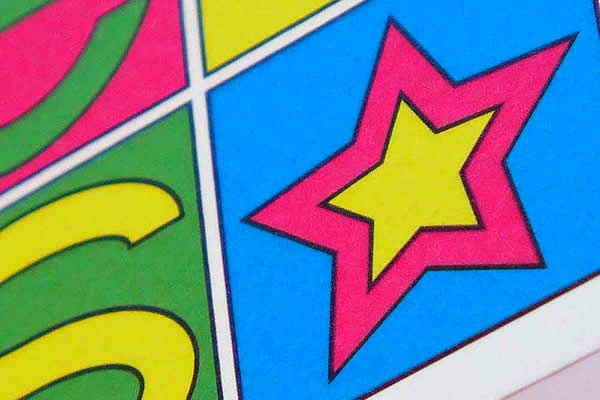 The day is especially tailored for new card publishers like me with a chocka block full itinerary of guest speakers from around the world and across the business sector, from agents and distributors to established publishers and retailers. The more I delve into this world, the more I realise there is to learn, but it's worth the effort! 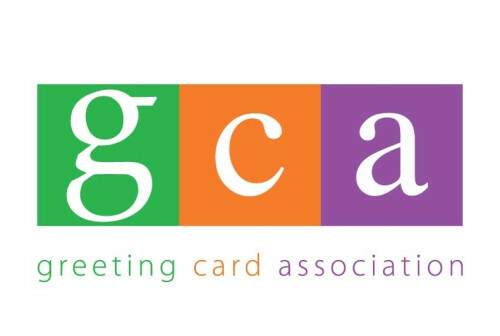 Green Card Design has just joined the Grreeting Card Association (GCA)! 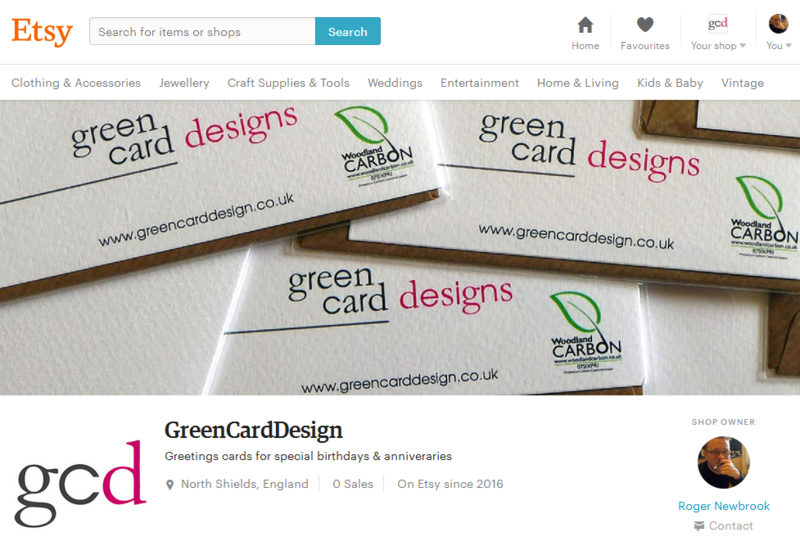 The GCA is the trade body representing the UK greeting card industry and their website contains a wealth of useful information for new publishers like me. It's an independent not for profit organisation which is owned by its members. They provide help, advice, support, specialist industry information, resources and membership services. AsThey also well as represent the greeting card industry, in the media and to outside bodies like the government and Royal Mail. Thse nice pople at Etsy have created a little widget that allows me (and anyone else who has an Etsy shop) to post items from my shop automatically on my website or blog. It's dead easy to configure and allows permutatons of up to 5 columns and 5 rows of your own products or favourites! How clever is that? 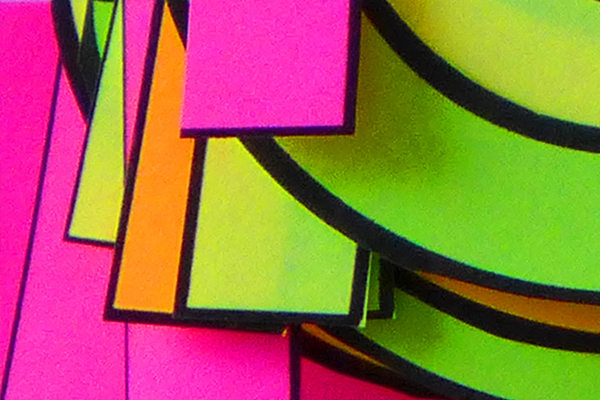 To complement our "Number" range we added a quirky new design twist. The pixelated numbers on front of the Incognito range of birthday cards makes them perfect for any birthday where discretion is the best path. They are also perfect for those times when you can't quite remember how old your frined is, but want to give the impression that you really do. They are also available to buy NOW at our Etsy shop! Thanks to everyone who helped with the survey last year! 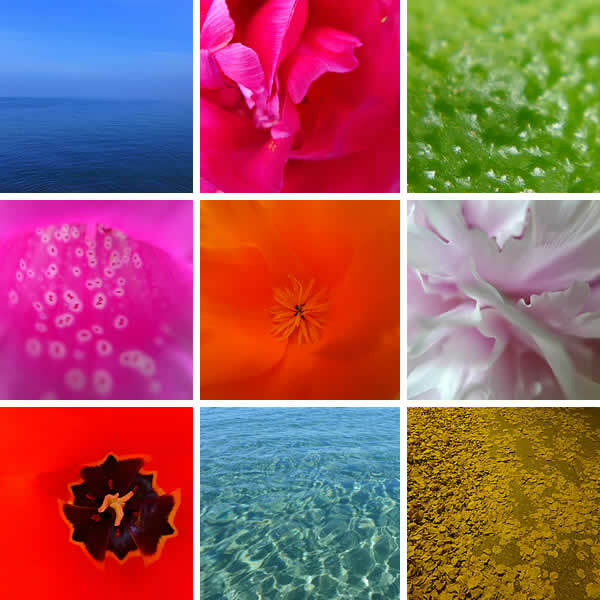 The Spectrum range is now available and is filled with bright, vibrant cards to banish the winter blues. 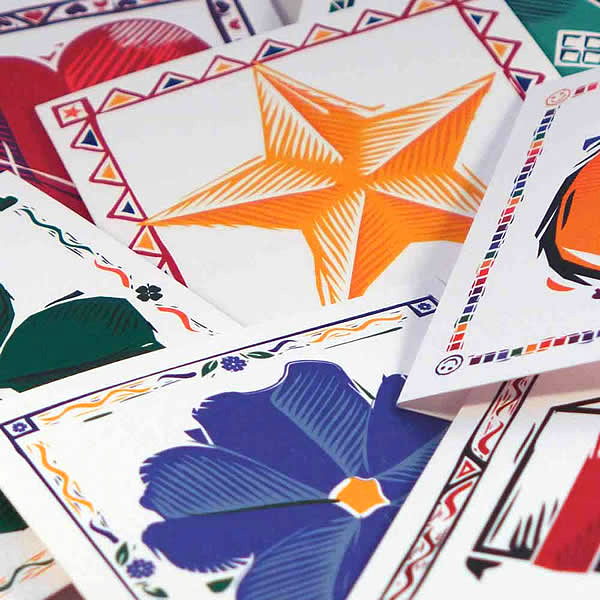 The cards are blank inside and are perfect for many occasions; from happy and jubilant to thoughtful and reflective. Our Xmas 2016 range is available to buy now at our Etsy shop! 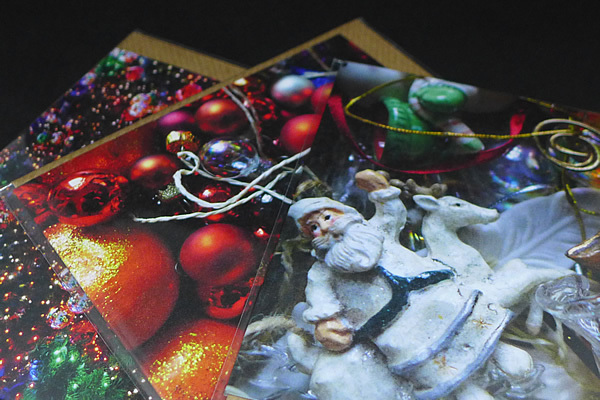 I have just got our first range of Christmas cards back from the printers! They feature two different linocut designs of classic Christmas motifs; a snowflake and a sprig of holly and we think they're lovely. 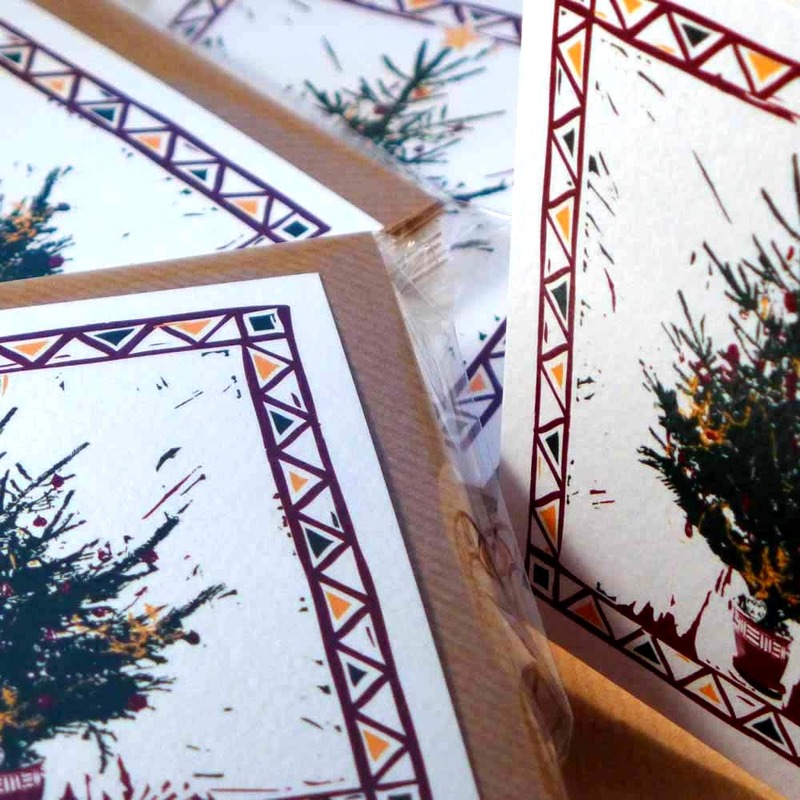 The greeting inside says "Season's Greetings" and as always, the cards are printed on Carbon Capture card stock (in support of Woodland Carbon ) making these cards from Green Card Design REALLY #green Christmas Cards! I got my greeting card proofs back today from the printer, and they are GORGEOUS! I can't wait to get my hands on them! Xmas 2016, Urban fragments, Spectrum, extended Numbers range and Incognito will all be available very soon at my Etsy shop. Can you help me out? I would really appreciate it. I have a new range of cards I've been working on called Spectrum that I would like feedback on. Have a look at this page and then fill in a short survey about the images you see there. There are also a couple of questions about your general card buyng activities too. I have decided to set up a shop on etsy.com after a number of requests for cards from friends and relatives. The Numbers range is available there and will be extended to include numbers up to 100 very soon. get yourself along and have a look . We've been working on our new website for a while now and it has finally gone live. If you would like to be kept up to date with new developments, drop us a line on our contact form. In the meantime, have a look round, we hope you will find something you like. Our first official greeting card range is available now. 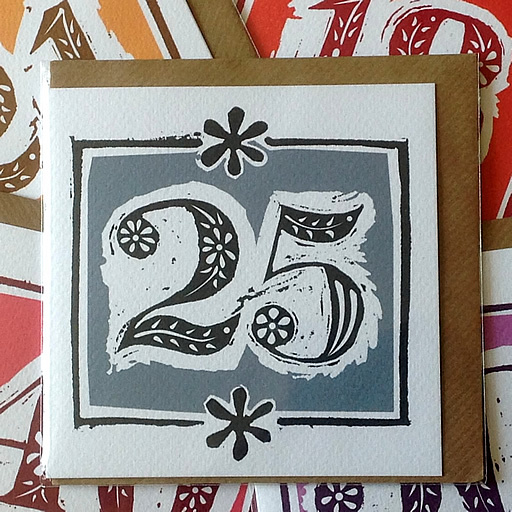 It's called Numbers and the designs are based on linocut prints I made earlier this year. I am delighted with how they have turned out. You can have a closer look at them here.